The Bermuda Women’s U15 Football team continues to impress, recording their third consecutive win at the 2018 Concacaf Women’s U15 Championship in Florida, defeating Curaçao today by a score of 2-1. Bermuda has finished top of their Group, as today’s victory followed after their 3-1 win over Antigua & Barbuda and their 1-0 victory over Barbados. Overall Bermuda scored six goals and only conceded two, with Bermuda’s goals scored by Che Chulae Dowling, Marli Butterfield, Adia Gibbons, Jahni Simmons, Emily Cabral and Satia Burchall. 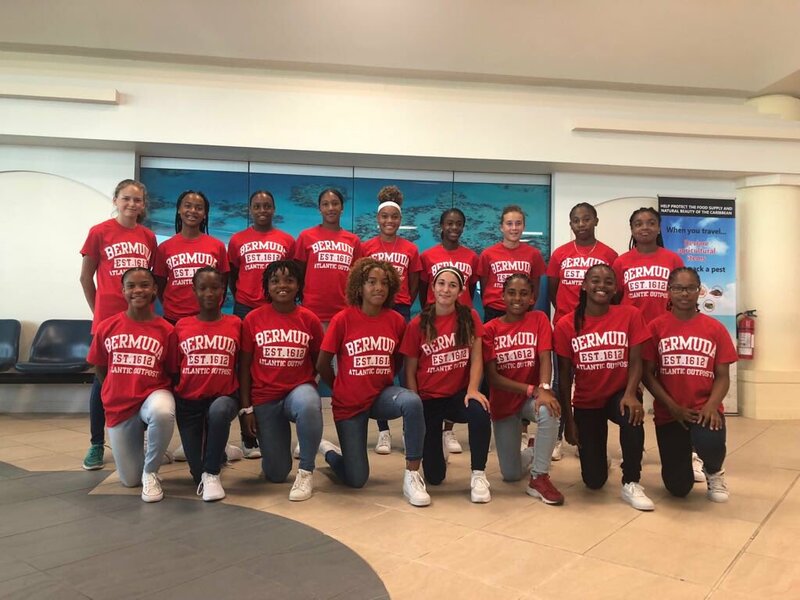 Bermuda’s team consists of Zakhari Turner, Terrine Trott, Koa Goodchild, Satia Burchall, Danni Watson, Zemira Webb, Jahde Simmons, Emily Cabral, Ramiah Brangman, Lara Backeberg, Azra Shakir, Marli Butterfield, Che Chulae Dowling, Shye Blair Paynter, Katelyn Medeiros, Adia Gibbons, Jahni Simmons and Katherine Bean Rosario.